A legislative measure sponsored by State Senator Steve Stadelman that allows Rockford to raise license fees on video gaming machines passed a key hurdle this week. Senate Bill 1558 would allow municipalities without home-rule powers to charge up to $250 for a video gaming license over the current per-machine limit of $25 a year. Senate Bill 1558 was brought to Stadelman by Rockford Mayor Thomas McNamara due to Rockford’s status as a non-home rule municipality, meaning the city needs state approval to raise the fees unlike Peoria, Springfield and other downstate communities. In Peoria and Springfield, the license fee is $500 per year. Having passed the Senate Executive Committee, the bill now goes before the full Senate for a vote. State Senator Steve Stadelman, State Rep. Maurice West and Rockford Mayor Tom McNamara expressed their their support this week for the Illinois Clean Jobs Act, which would increase use of renewable energy in Illinois to 100 percent by 2050. The legislation proposes ways to promote development of renewable energy sources, reduce carbon emissions and provide jobs in the green energy field. Stadelman emphasized the job growth associated with expansion of renewable energy. Solar energy installer and wind energy technician are already the nation's fastest growing employment classifications, Stadelman noted, and neither requires a college degree. “That’s our future,” he said. “These are the types of jobs that we have to be working for and making sure our workers are trained for in every county of this state. Illinois needs to lead the way when it comes to transitioning ourselves into this new clean energy economy. Steve Stadelman shared a post. 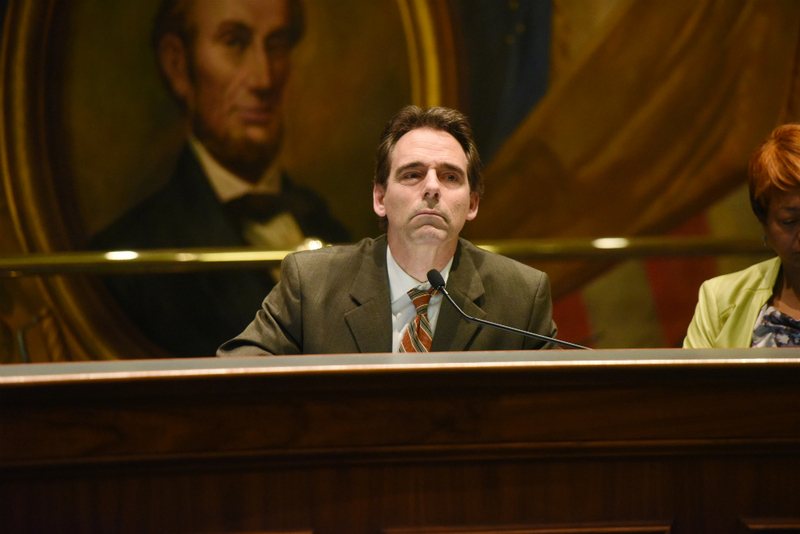 SPRINGFIELD – Cities and counties would have a streamlined process to address vacant homes under two new measures sponsored by State Senator Steve Stadelman (D-Rockford). 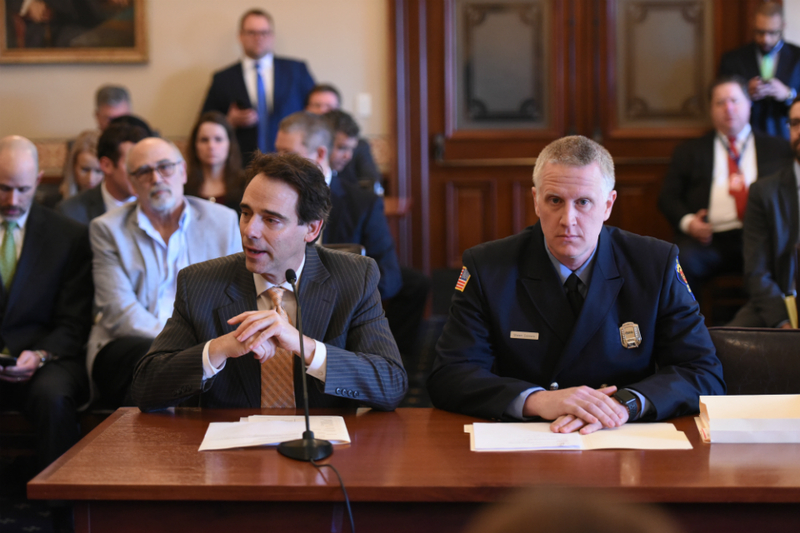 Senate bills 2052 and 2097 implement recommendations made by the Illinois Community Revitalization Task Force, a panel created to help reduce blighted properties and revitalize communities throughout Illinois. “Blighted properties don’t just affect one or two neighbors, they can have a ripple effect on an entire block,” Stadelman said. “Getting our cities and counties the tools they need to fight this problem is the first step to rehabilitating our neighborhoods. Stadelman partnered with Rockford Mayor Tom McNamara and the Illinois Housing Development Authority to work on a legislative fix that helps communities. “Sen. Stadelman recognizes the impact that foreclosures have had in Rockford, and I appreciate all of his work in Springfield to help mitigate this issue, which has made it difficult for many of our homeowners to recover from the economic downtown,” McNamara said. Senate Bill 2052 allows municipalities to transfer government-owned properties to a county or intergovernmental agency without triggering the formal statutory process that is imposed on non-home rule municipalities. Senate Bill 2097 gives counties authority to purchase blighted properties to renovate them for resale to revitalize neighborhoods. The legislation also allows counties to keep the profits of the sale in order to renovate more homes. Both measures passed out of committee this week and now head the Senate floor for a vote. 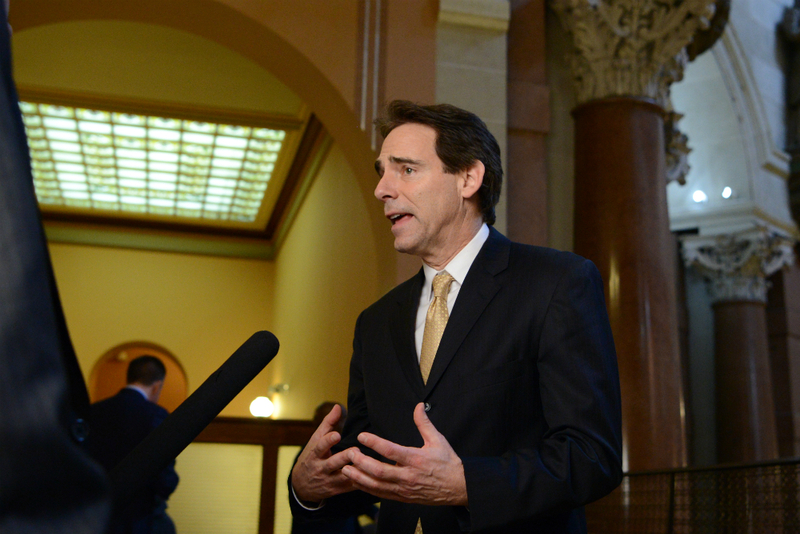 SPRINGFIELD – A legislative measure sponsored by State Senator Steve Stadelman that allows Rockford to raise license fees on video gaming machines passed a key hurdle yesterday. Senate Bill 1558 was brought to Stadelman by Rockford Mayor Thomas McNamara due to Rockford’s status as a non-home rule municipality, meaning the city needs state approval to raise the fees unlike other downstate cities like Peoria or Springfield. Currently, non-home rule cities cannot charge more than $25 annually for a video gaming machine license. SB 1558 would raise that limit to $250 for Rockford. In Peoria and Springfield, the license fee is $500 per year. Having passed the Senate Executive Committee, the bill now goes before the whole Senate for a vote. SPRINGFIELD – The Illinois General Assembly heard Gov. JB Pritzker’s first budget address today. “I think the governor’s proposed budget places our values at the forefront by increasing funding for education from kindergarten all the way through college. I am also pleased with the increased funding for public safety and child care assistance.